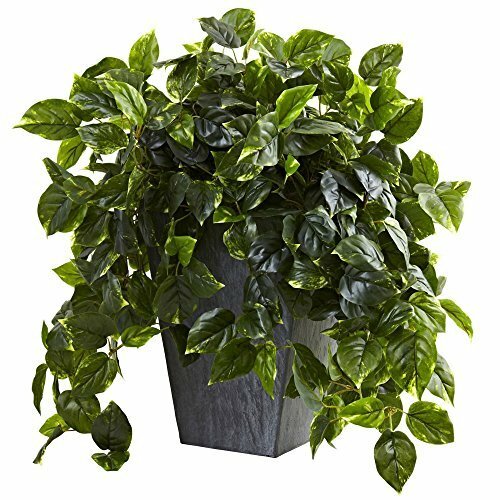 If sunshine has been a problem for maintaining the classic beauty of your artificial plants, then worry no more with this richly colored Pothos plant. This selection is UV resistant, meaning that this attractive piece is good for indoors or out. Complementing the overall look is a refreshingly modern slate planter. A contemporary work of art in its own right, and an optimal gift idea.